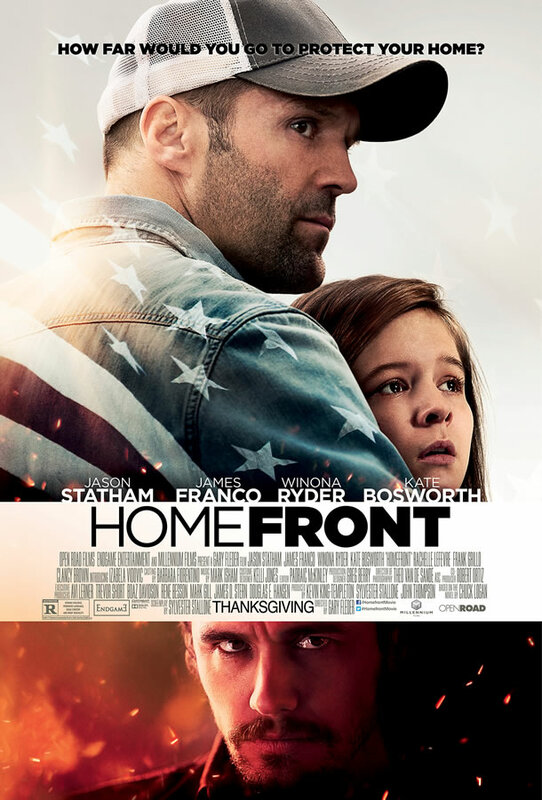 HOMEFRONT stars Jason Statham as former drug enforcement agent Phil Broker, a family man who moves off the grid with his daughter to a seemingly quiet bayou backwater to escape his troubled past. However, Broker’s world soon becomes anything but quiet once he discovers that an underbelly of drugs and violence riddles the small town. Soon, a sociopathic methamphetamine kingpin, Gator Bodine (James Franco), puts Broker and his daughter in harm’s way, forcing Broker back into action in order to save his family and the town. Screening will take place Wednesday, November 20 at AMC Creve Coeur 12 (7pm).